Ashford University is college with 50895 students located in Clinton, IA. Describe the type of student who should not attend Ashford University and explain why. Describe the type of student who should attend Ashford University. Why? What is a typical Ashford University student like? Describe the type of person that should attend Ashford University. Ashford University embraces every type of person. It does not matter who you are or where you are from, but being yourself is what counts. Everyone is very friendly and will make you feel at home. What are the top 3 reasons someone should attend Ashford University? What was a typical Ashford University student like in high school? Describe the type of person that should attend Ashford University. Ashford UniversityÂ® is a community that combines a traditional college campus with effective learning online. The Ashford experience is a mix of four simple ideas: engaging curricula, modern digital tools, a vibrant community, and cherished tradition. 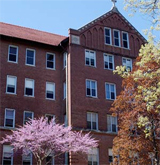 Here you'll find information about Ashford's mission and history of academic excellence. What are the top 3 things that students do for fun at Ashford University? 80% of students received Pell Grants, which are provided by the U.S. government to students from middle and lower income families. It gives you an idea of a school’s socio-economic diversity. A program that focuses on language-related concerns in the everyday world, including language education, acquisition of first and additional languages, discourse analysis, language assessment, literacy, and language policy and planning. Includes instruction in linguistic theory; language teaching and learning; discourse analysis; language and cognition; and language, culture, and identity. A program that prepares individuals to supervise and monitor customer service performance and manage frontline customer support services, call centers/help desks, and customer relations. Includes instruction in customer behavior, specialized information technology and systems management, developing and using customer service databases, user surveys and other feedback mechanisms, strategic and performance planning and analysis, operations management, personnel supervision, and communications and marketing skills. A program that prepares individuals to plan, manage, supervise, and market electronic business operations, products, and services provided online via the Internet. Includes instruction in business administration, information technology, information resources management, web design, computer and Internet law and policy, computer privacy and security, e-trading, insurance, electronic marketing, investment capital planning, enterprise operations, personnel supervision, contracting, and product and service networking. Any instructional program in general marketing and marketing research not listed above. A program that focuses on integrating technology into educational curricula. Includes instruction in foundations of educational technology, computer applications, utilizing technology for assessment, multimedia instruction, web-based instruction, distance education, and designing and producing educational software and materials. A program that focuses on the multiple aspects of learning in different environments, including specific aspects of the content to be mastered, cognitive aspects of the student, the instructional environment and materials, the preparation and activities of the instructor, socio-cultural and linguistic components, and assessment outcomes. Includes instruction in the social, organizational, and cultural dynamics of learning; learning and cognition; learning strategies; educational psychology; educational testing and measurement; instructional design and technology; and statistical design of educational research. Any program in teaching English or French as a second or foreign language not listed above. Any instructional program in military applied sciences not listed above. A program that focuses on the study of culture and the relationship of culture to other aspects of social life. Includes instruction in cultural anthropology, anthropological theory, enthnography, linguistics, and quantitative and qualitative research methods. A general program that focuses on the design and implementation of policies and processes contributing to successful individual and family resource management. Includes instruction in financial goal-setting and strategies; household income, assets, and debt management; preventing and resolving financial difficulties; and the use of relevant public resources. A program that focuses on the knowledge and skills required to develop, organize, store, retrieve, administer, and facilitate the use of local, remote, and networked collections of information in print, audiovisual, and electronic formats and that prepares individuals for professional service as librarians and information consultants. The average student pays $20,266 for tuition, fees, and other expenses, after grants and scholarships. Total stated tuition is $9,912, in-state and on-campus, before financial aid. Learn more about financial aid at http://www.ashford.edu/online/finance/. Estimate the net price for you at http://ashford.studentaidcalculator.com/survey.aspx. 6% of students graduated on time. 20% of students graduated in six years. 36% of full time students continued studying at this school after freshman year. The typical (median) early career salary of Ashford University graduates is $36,100, according to Payscale. Ashford University participates in the NAIA Division II for college athletics. Want more info about Ashford University? Get free advice from education experts and Noodle community members.